A few minutes back we covered the official launch of 2012 Audi A6 in Delhi and even drove it but on the other end another Audi, as interesting as the 2012 Audi A6, has drew our attention. 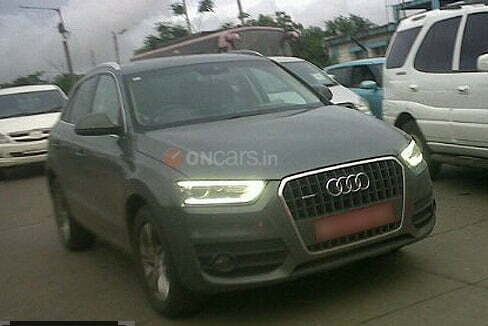 Audi Q3 compact SUV,which is anticipated for quite a long while, has been recently spied in Mumbai . The brand has seen an appreciable growth over the past few months and with this new model it plans to get even more aggressive. Audi had confirmed the launch of the Q3 during mid next year and now that the car has been caught on the roads while being tested, the confirmation gets even more firm. Technically the car will sport the highly acclaimed 2.0 Litre TDI diesel engine capable of producing 139 BHP of peak power and 380 Nm of peak torque. The car is also expected to be showcased at the 2012 Auto Expo and the base variant of the same will be launched in the price range of Rs. 22 to Rs. 25 Lakh. 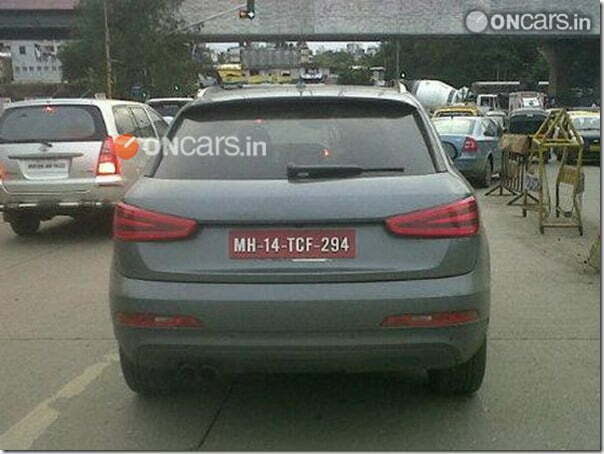 As it has been a habit of Audi of introducing all wheel drive variants, a Quattro Q3 is also expected to be on the cards. One of the toughest competitors for this new baby from Audi, would be the BMW X1 which is quite successful in terms of attracting customers because of its quite affordable price tag and it would be an interesting thing to see how both compete with each other.